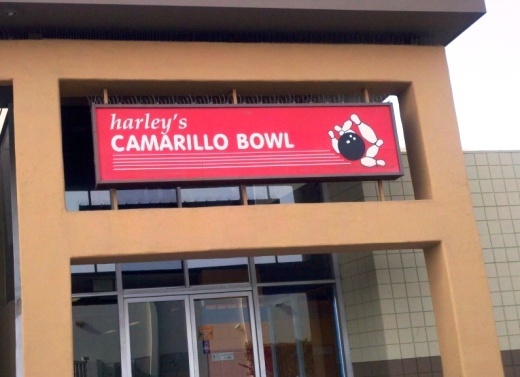 Harley's Valley Bowl is located at 5255 Cochran Street, Simi Valley. You will quickly forget web surfing once you see this 40-lane facility. 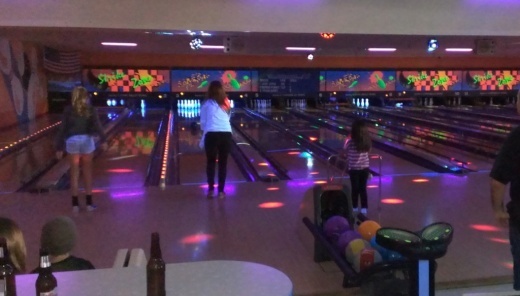 Try the Cosmic Bowling at night for some fun or perhaps a birthday party celebration. Open until midnight or later every night for you night owls. Call 805.584.BOWL (2695) or visit www.harleysbowl.com/ValleyBowl for more information. On a related note, why do they call 3 strikes in a row a "turkey" in bowling? According to www.bowl.com, the term "turkey" dates back to before the turn of the 20th century, when it was much more challenging bowling strikes. During Thanksgiving or Christmas week, bowling alley owners would often award a live turkey to the first person on a team to score 3 strikes in a row. Buena Lanes is located at 1788 Mesa Verde in Ventura, just down the street from Golf N Stuff. Buena Lanes is a full service bowling alley with a pro shop, a cute retro looking diner, bar, arcade, leagues, etc. Open seven days a week. Visit www.buenalanesbowling.com or call 805.656.0666 for more information. Discovery Ventura opened its doors at 1888 E. Thompson Boulevard, Ventura at the former home of the Ventura Bowling Center that closed its doors in December 2012. The facility has been beautifully renovated as a restaurant and lounge, accompanied by a nine-lane bowling alley, several pool tables and shuffleboards. Bowling lanes are first come, first serve and cost $15 per hour (plus shoe rentals). The boys were able to find lighter bowling balls (6 to 8 lbs) and the hostess can program, on request, "bumpers" to pop up during the kids' turns. This is a smaller, boutique, non-league bowling alley that uses efficient "StringPin" technology. Traditionalists will definitely notice some difference in the pin "action" but for most folks bowling for fun, I don't see it being a big issue. See video below for a close-up of the StringPin action. The lanes are full sized, though a bit cramped lengthwise. From what I've read and experience, there are usually sets of dots 12 feet and 15 feet from the foul line used in the approach. The 15 foot dots are very close to the serving tables and seating area. Probably not a big issue for most folks, but definitely a different feeling than most full sized bowling alleys. It didn't take any of the fun away for us! Learn more at www.discoveryventura.com or call 805.856.BOWL (2695).